MixFader, Other DJ Accessory from MWM. French DJing specialists edjing took advantage of the Kickstarter debut in France to launch a crowdfunding campaign for their Mixfader wireless fader. 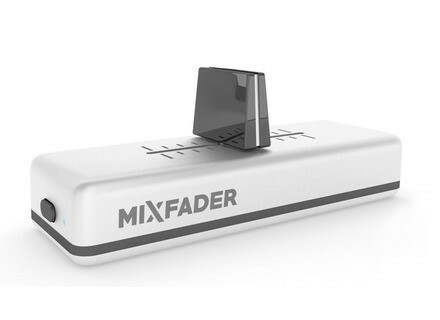 Mixfader had already been unveiled last March through a video teaser (see this new). The small wireless fader connects to your iOS and Android smartphone or tablet via Bluetooth and, with the dedicated app, allows DJs to mix and scratch on a virtual turntable with a latency of only 5 ms.
To design the Mixfader, edjing collaborated with professional DJs and turntablists such as 9 O’Clock (twice world champions at the DMC World DJ Championship). 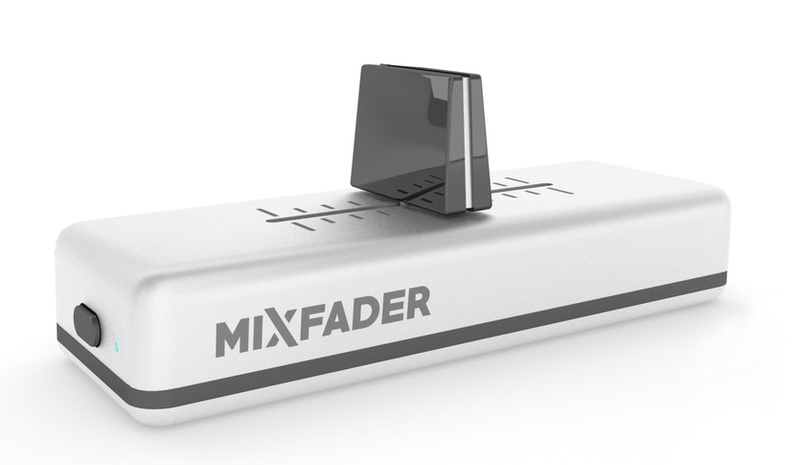 The Mixfader features a fader (obviously), an on/off button, a mini USB port, all of which sits on a 9,2 x 3,2 x 3,6 cm rectangular box with aluminum finish. You can now participate in the crowdfunding campaign on Kickstarter and make the Mixfader come true with a nice discount. Pricing starts from 49 €, final price should be 129 € and shipping should start in November, 2015. Serato DJ Intro updated to v 1.2.5 DJs using the Numark Mixtrack Pro 3 or Hercules DJControl Jogvision MIDI controllers can now download the free Serato DJ Intro v1.2.5 software. Serato already updated to v1.7.5 It only took Serato a few days to release a new update for its DJ mixing software, which is now in version 1.7.5. [Musikmesse] Allen & Heath Xone:43C A few days ago, Allen & Heath unveiled a new Xone 4+1-channel DJ mixer. At Musikmesse, they introduce the same model with built-in audio interface.